Building strong leadership skills among STEM students is a key tenant of MESA’s method. MESA provides students all along the education continuum ways to benefit from the communication, networking and other soft skills that create successful STEM professionals. 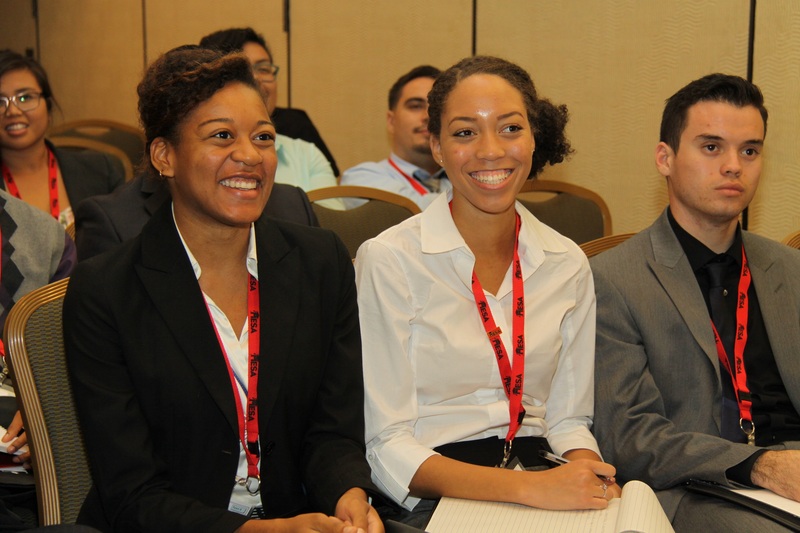 MESA’s premier leadership event is the Student Leadership Conference (SLC), which joins a select group of 200 community college and university students with industry to gain extensive professional development. The 12th Annual SLC is fully sponsored by industry. Edison International is the lead sponsor with additional funding from AT&T, Pacific Gas and Electric, San Diego Gas and Electric and Southern California Gas. The conference, themed “Celebrating 45 Years of STEM Success,” will be held October 2-3 at the Santa Clara Marriott in Santa Clara. The hand-picked MESA students, all science, engineering, or math majors, represent 38 universities and community colleges from across the state.